Nashville, Tenn. – Darius Rucker knows that in order to move people, there has to be vulnerability and authenticity in the message. Rucker first demonstrated his ability to expose that underlying raw emotion with the first of his seven No. 1’s, “Don’t Think I Don’t Think About It” from his Platinum Learn To Live and most recently in “So I Sang” from Southern Style. With our first taste of new music in “If I Told You,” Rucker unveils a heartfelt new track worldwide today on iHeart Radio. Expected to be the first cut from his fifth major label country album for Capitol Records Nashville, the song is also available today on streaming and digital retail services. NASHVILLE, Tenn. (June 27, 2016) – Jon Pardi’s California Sunrise debuts at No. 1 on Billboard’s Country Albums chart with 23,708 units sold and total consumption reaching 29,233. California Sunrise features Pardi’s current Top 10, Gold-selling hit “Head Over Boots” – which Pardi will take to NBC’s TODAY Show July 7 for its national television debut. Nashville, TN (June 24, 2016) – Known for their record-breaking tracks, undeniable energy and all around good vibes, FLORIDA GEORGIA LINE will release DIG YOUR ROOTS August 26 on Big Machine Label Group. The award-winning duo’s highly anticipated third studio album uncovers pieces of their lineage along with an evolved creativity. NASHVILLE - (June 20, 2016) – Four-time Entertainer of the Year Luke Bryan announced today while co-hosting NBC’s TODAY that his first-ever Farm Tour EP, Farm Tour…Here’s To The Farmer, will be released on September 23 in advance of his eighth annual “Bayer Presents Luke Bryan Farm Tour 2016,” set to run October 5 to October 15. Bryan also revealed the EP cover for the first-time this morning on TODAY. Farm Tour…Here’s To The Farmer will include all new music. STAMFORD, Conn. – June 20, 2016 – Seven-time Grammy Award-winner and multi-platinum recording artist Carrie Underwood has recorded a new opening theme song for NBC’s Sunday Night Football, primetime television’s No. 1 program for five consecutive years. Entitled “Oh, Sunday Night,” the new SNF opening song is a mix of country, rock, and pop. NASHVILLE, TN - June 20, 2016 - As part of this morning's exclusive sit-down interview with ABC's Good Morning America, seven-time GRAMMY award-winning Lady Antebellum member Hillary Scott announced July 29th as the release date of LOVE REMAINS (EMI Nashville) by Hillary Scott & The Scott Family. GRAND JUNCTION, CO – June 19, 2016 – Country superstar Blake Shelton celebrated his 40th birthday last night at 25th Anniversary Country Jam telling the capacity crowd at the end of the night that he would “remember this night for the rest of my life.” A memorable moment of the two-hour set came when girlfriend and pop rocker Gwen Stefani surprised the crowd by stepping out onstage midway through Shelton’s set to perform their song “Go Ahead and Break My Heart,” which is currently featured on Shelton’s If I’m Honest album. The crowd erupted as the two performed. Stefani left the stage and Shelton continued with playing his hits like “Honey Bee, “Austin,” “Sangria” and more. 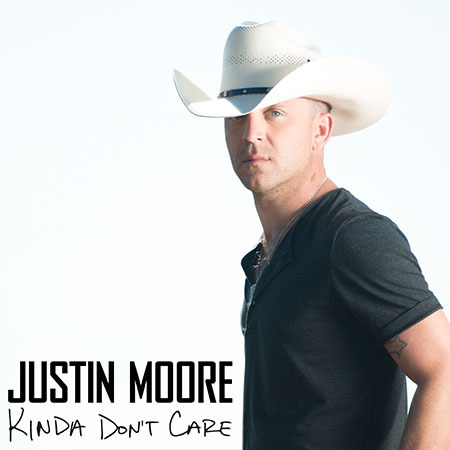 NASHVILLE, Tenn. (June 16, 2016) – Matching his no-nonsense attitude, Multi-platinum-selling Country star Justin Moore will release his fourth studio album August 12 on The Valory Music Co. The aptly-titled project, KINDA DON’T CARE, will give longtime fans a full dose of what they’ve come to love about the chart-topping singer/songwriter…a slow Southern drawl and candid charm. Pre-order for the standard and deluxe versions is available beginning July 15 with four instant grat tracks available through August 12. 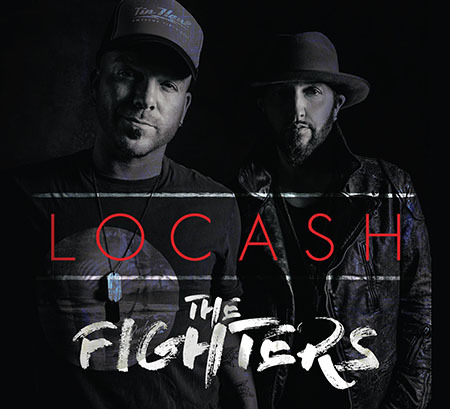 NASHVILLE, Tenn. (June 17, 2016) – It’s the day LOCASH fans everywhere have been waiting for – the No. 1 “I Love This Life” hit-making country music duo celebrates the release of their first full-length album with Reviver Records, The Fighters, in stores nationwide today. Pick up a copy of the anticipated release at Target, Walmart and other select retailers, as well as all digital retailers including iTunes and Amazon. NASHVILLE, Tenn. – Prior to taking the stage for an enthusiastic crowd at Sunday’s CMA Music Fest Chevy Riverfront Stage, Capitol Records Nashville’s Jon Pardi celebrated his new Gold record “Head Over Boots.” As the fastest-rising single of his career, “Head Over Boots” is currently climbing country music’s Top 10 and is the lead single off Pardi’s sophomore album, California Sunrise, available this Fri, June 17. Nashville, TN – Columbia Nashville singer/songwriter Maren Morris’ label-debut album, HERO, arrives at No. 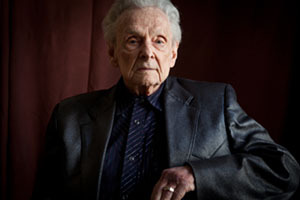 1 on the Billboard Country Albums Chart with 37,000 in sales after one week of being available from its June 3 release. HERO also closes out the Top-5 on the Billboard Top 200 Chart, which spans across all genres, with 45,000 of total units (of which 37,000 are pure album sales). NASHVILLE, TN (June 8, 2016) – It's been one helluva ride to get here, from Nashville to El Paso and back again, but Frankie Ballard's new Warner Bros. Records/Warner Music Nashville album El Rio is finally only days away from release. With growing anticipation, Ballard is especially excited to hear fans' reactions to some of the new music that no one has heard. 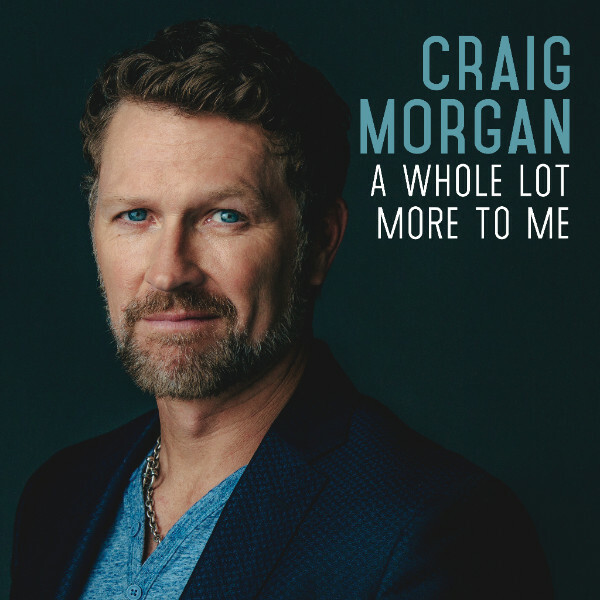 Nashville, TN – June 3, 2016 – Craig Morgan is hitting the road in support of today’s release of his new album A WHOLE LOT MORE TO ME. Kicking off the street week festivities on the West Coast, Craig is set to meet fans following concerts in California and Oregon, and then heads to Nashville for some CMA Music Festival fun including a free show at the Wildhorse Saloon on June 8! The following week the Black River Entertainment recording artist heads east, making an appearance on NBC’s TODAY with Kathie Lee and Hoda on June 13 followed by a Facebook chat with fans live from Facebook’s New York office the same day and will wake up the streets of New York City as part of Fox News’ Fox & Friends All-American Summer Concert Series on June 17. NASHVILLE, Tenn. - (June 3, 2016) - Platinum-selling country duo Dan + Shay (Dan Smyers and Shay Mooney) released their second Warner Bros. / Warner Music Nashville album, Obsessed, today, available in stores and digitally now. The album, which follows their No. 1-peaking debut Where It All Began, was produced by Smyers and the award-winning Scott Hendricks. In celebration of the new release, the duo will appear on ABC’s Live! With Kelly on Wednesday, June 8.